Breakfast was a PB&J smoothie. 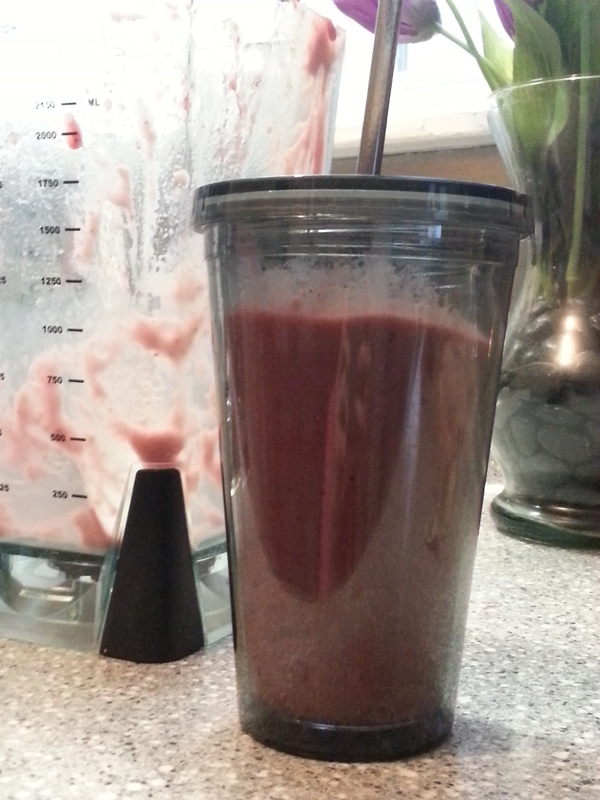 (ground up peanuts mixed with Bolthouse Farms Berry Boost Juice, a frozen banana, and 1/2 cup frozen strawberries). 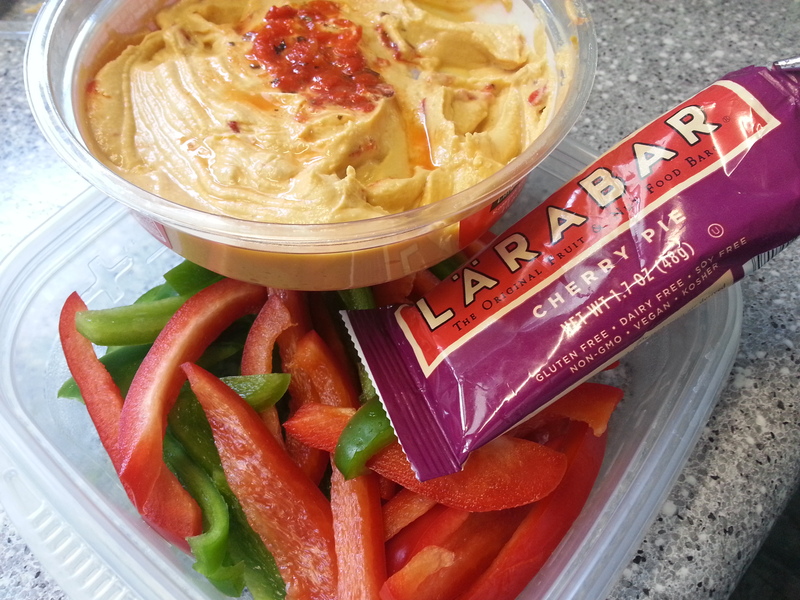 For a snack I had a Larabar and some peppers with hummus. 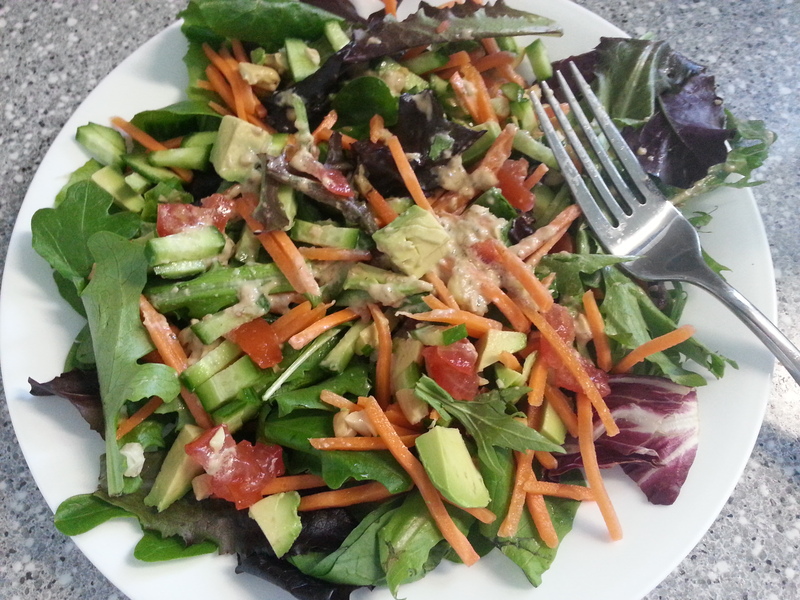 My late lunch was a big salad with spring mix lettuce, a baby cucumber, half a tomato, matchstick carrots, 1/4 of an avocado, chopped cashews, and 2 TBSP Annie’s Lite Goddess dressing. (Forgive the picture, I started to mix it up and eat it before I remembered to take the pic!) I had an applesauce cup too. No sugar added of course! After spending my evening miserable on the couch, my husband made me one of thee most delicious dinners I’ve had in a while. The picture looks gross, but it was amazing. 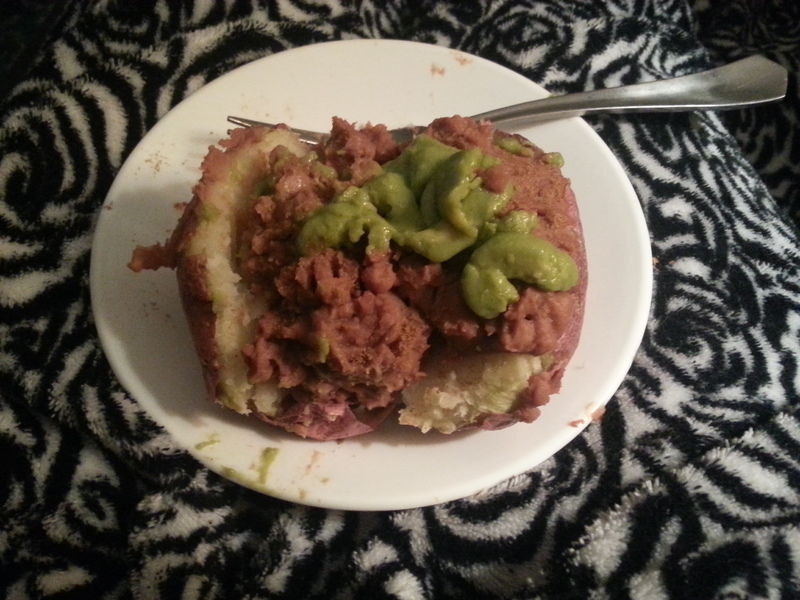 It was a baked red potato with about a half cup of fat free refried beans, a sprinkle of cumin, and a dollop of guacamole. Yum! I had dinner pretty late, so I might not have dessert, if I do it’ll be the strawberries and mangoes I chopped up last night. For once, my eating is on track and my working out isn’t. I didn’t get my 3 mile run in today. I just couldn’t make myself do it. My body, skin, and even scalp hurt this afternoon. Tomorrow I’m supposed to run with my sister again. I hope I feel good enough to!